The name 360-degree camera itself implies what these cameras are capable of. Yes, you guessed it right a 360-degree camera can help you in capturing the entire world around you. If you love cameras and saving your precious and delicate memories, then you must have a thing for cameras. Capturing the world around us surely sounds like a tempting idea, and if you have given up to the desire of buying a 360-degree camera, then the first thing that you must do is decide what you will be using the camera for. Some models pack tons of features but are quite fragile whereas some features all weather and rugged build. Some 360-degree cameras can also be mounted on the front of a kayak, or the top of the helmet, or the like. If you are looking for a 360-degree camera for professional work, then we will suggest you to consider spending your money on expensive options. As mentioned above the buying decision will depend a lot on your budget and need. However, we can help you a lot by giving you a peek at the best 360-degree cameras available in the market. Keep reading to discover the best 360-degree cameras. The Zision 360°Panoramic VR Full View Action Camera features small and elegant design. The mini size of this camera coupled with the high capacity battery makes it an ideal camera to be carried anywhere. 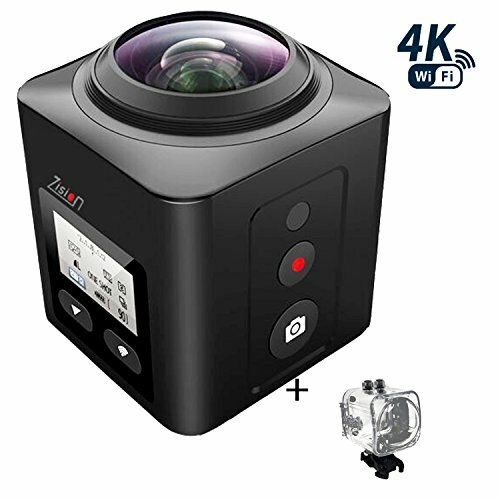 You will be able to take this camera without any fear of damage to the camera as he Zision 360°Panoramic VR Full View Action Camera has been designed to withstand extreme conditions. This camera comes with a rugged waterproof casing that keeps it safe from water. You will also get some additional accessories along with the camera that will allow you to fix Zision 360 on bike, tripod or helmet easily. If you need a 360-degree camera at an affordable price and for personal use then rest assured you won’t be disappointed after buying Zision 360°Panoramic VR Full View Action Camera. This video camera in a true sense is nothing less than an ambitious effort. The manufacturers of 360fly have not merely focused on the prevalent 360-degree video format only but have focused on creating a camera that has that does-it-all feature. 360fly 4K is a rare piece of camera that not only capture video in the first person POV mode but also has the option of 360-degree mode. This camera that has only one lens along with a user-friendly app with easy to understand layout allows one to shoot, share and upload immersive and stunning 360-degree videos easily. You will be surprised to know that this camera also has a compass, GPS, accelerometer, and gyroscope for offering you oodles of data. Like any other product available in the market 360fly 4K too has its own set of drawbacks. The audio quality is basic and you the video recorded via this camera tend to be soft around the edges. Ricoh Theta M15 360 Degree spherical Panorama camera is quite good. 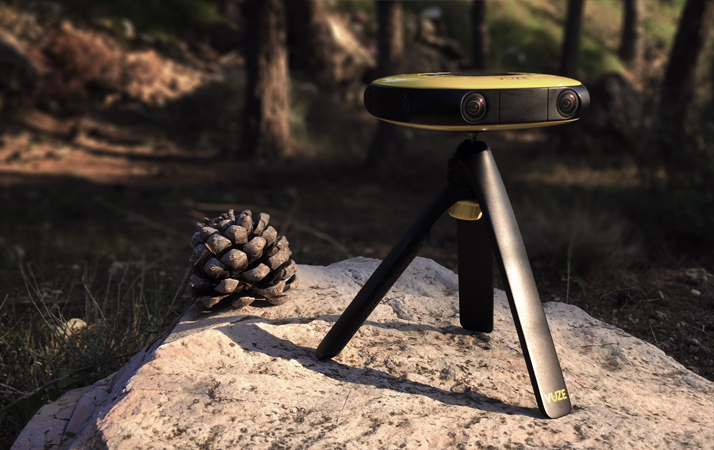 This 360-degree camera features an easy to handle design, and in addition to that, the light weight of this camera acts as a plus point. You can get the live preview of the filmed/photographed image, which means that you will be able to preview the photos right after clicking one, but you will be able to play the recorded video after transferring it into another device. 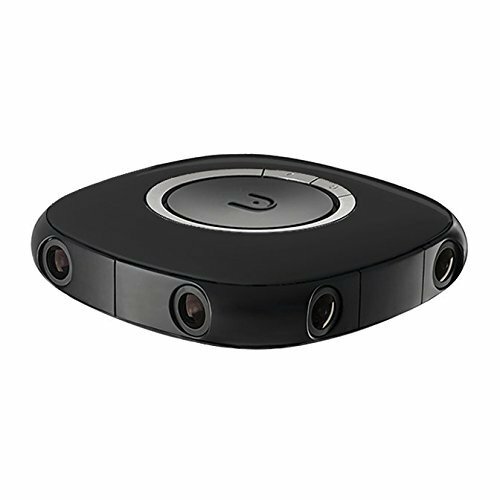 The inbuilt memory of this 360-degree camera allows the user to click 1200 images or record 60 min of video. This sounds pretty decent for personal use. The battery of this camera might disappoint you a bit as you will be able to click around 200 photos on a single charge. However, the brand name and lightweight feature along with the affordable price at which it is available make it an ideal option for people looking for a 360-degree camera for personal use. You all camera lovers should be thankful to the manufacturers of this fantastic product for giving you the opportunity to own and use a 360-degree camera at an affordable price. You should know that this is a budget camera and has succeeded to make a place in this list because of its affordability and reliability of Detu brand in the market. Detu Twin has a stylish and quite familiar appearance. 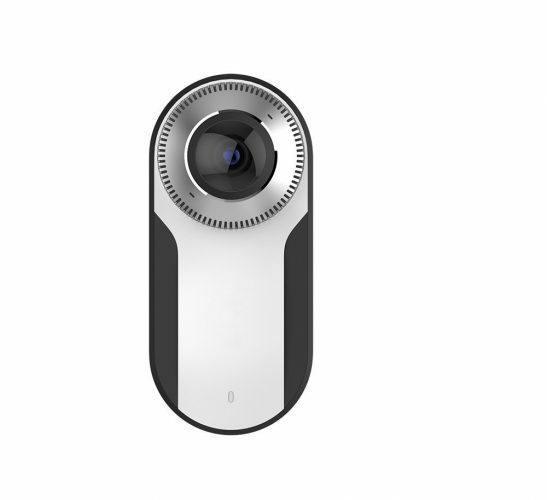 In reality, the design is quite similar to the Ricoh Theta S. However, Detu Twin 360-degree camera has less resolution. The feature that makes this camera more than just a simple handheld 360-degree camera is the presence of standard tripod thread on the undercarriage. You will be disappointed by the basic result and by knowing that you will be able to share only videos of 30 seconds max. The short battery life is the biggest issue that we noticed. However, if you are looking for a basic model that comes with a feather-light price tag, then you should consider buying Detu Twin. 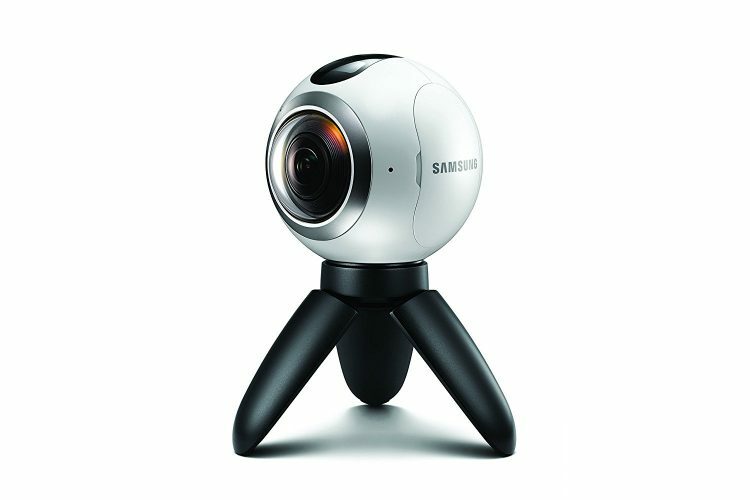 You will find that Samsung Gear 360 (2017 Edition) has the similar form factor to the Ricoh Theta 360 cameras. This is the new version, and you will be surprised to know that Samsung has brought down its specs as compared to the original Gear. The deterioration in feature seems planned in order to allow Samsung Gear VR to survive in the market. The Original Gear 2016 used to capture 15MP still images; however, the new version can achieve barely the half of what the former could. In addition to that this 360-degree camera comes with a smaller battery which means that for tours and trips you will need to carry a compatible portable charger. Samsung surely has brought down the features in the newer version, but the build quality still gives you the true value of your money. 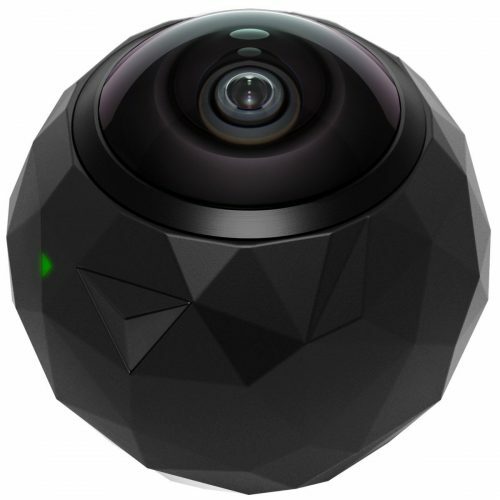 This cute 360-degree camera is easy to use and has great free editing software. 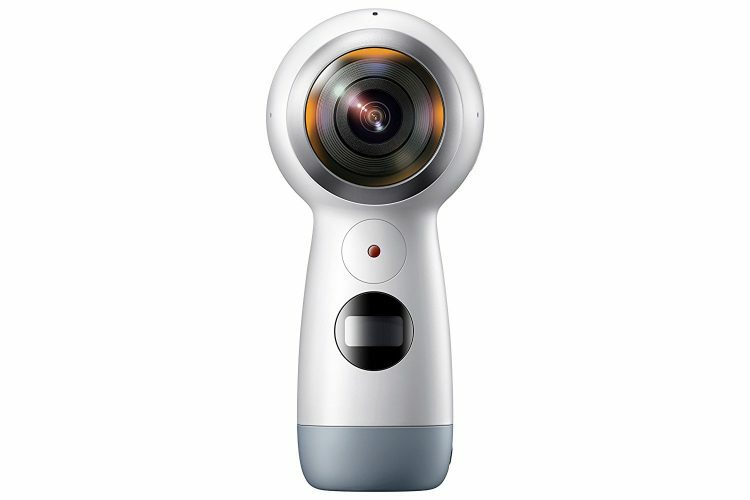 On seeing the Samsung Gear 360 (2016) edition, you will go back the memory lane, as the design of this 360-degree camera is quite similar to the webcam that we used to have in the 90s. However, you should know that in reality, it is the most cutting-edge 360-degree VR capture technology captured in a tiny ball. The design of this camera is what you will love and adore. This lightweight and on-the-go camera, allows you to carry it anywhere and capture your travels in amazing 360 degrees. It also features standard tripod thread which can be used for fixing it on a kayak, bicycle or to any other ride. If you are PH-1 phone user and proud owner and have a deep desire to click spherical selfies then for sure, you will love this great 360-degree camera. There were numerous notable features that worked in favor of the essential 360-degree camera, and some of them include compact and light design, reasonable price tag, and a workflow that stitches the video together in no time. For sure the Essential 360-degree camera is laced with great features, but like any other product available it too has its drawbacks. One of them is related to the unwanted occurrence of glitches with video stitching, and another one is that you will have to attach it to your phone for using it. If you own a PH-1 phone then for sure, you can buy this 360-degree camera, but if you have sufficient budget, then we would suggest you to explore the high-end 360-degree cameras. You should know that the Ricoh that brought the 360-degree video creation in this world and placed it in the mainstream with its popular Theta S model a few years ago. It was a great 360-degree camera of that time, but it could only produce 25 minutes of soft video on one full charge. 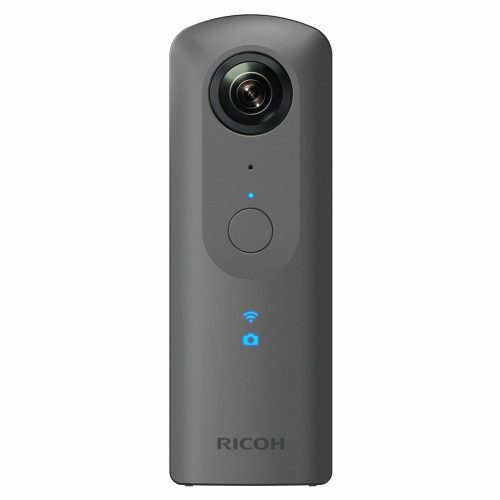 The Ricoh Theta V 360 Spherical camera looks the same as Theta S. However; its features are more evolved. It can record videos in 4K, supports 4K live streaming, and it also records 360-degree spatial audio because of its four microphones. With the Android operating system and powered by Snapdragon 625, this camera increases ISO by a great margin. You will be happy to know that it also features standard tripod thread. The Vuze – 3D 360-degree 4K VR camera is the most advanced piece of technology listed here. This very camera can also shoot in 3D. The combination of the 3D and 360 videos will give you far more immersive experience than you will ever get with each of the mentioned formats alone. This camera has been launched in the market with the aim to offer premium features available in pro level cameras at a comparatively affordable price. However, you should know that though it is cheaper than pro-level cameras but still has got a heavy price tag attached to it. This simple design easy to use camera will win your heart. The Theta S easily fits in the pocket as it isn’t larger than a smartphone. The camera is surely responsive and quick, but this device gets hot when on for a long duration. You will need to transfer the images or videos to your mobile or computer for veining them. One of the features that will surely make you fall in love with the Theta S 360-degree camera is its streaming capability. If you are looking for a 360-degree camera that is good for a newbie, then you should consider buying this camera without any doubt or delay. Cameras nowadays come in all kind of shapes and with tons of features. The features of the cameras in a way decide the number printed on its price tag. The best thing about our list is that you will find both high priced as well as affordable camera in this list. So, for making the right choice decide the budget and your needs and select the one from above. Rest assured you won’t be disappointed.